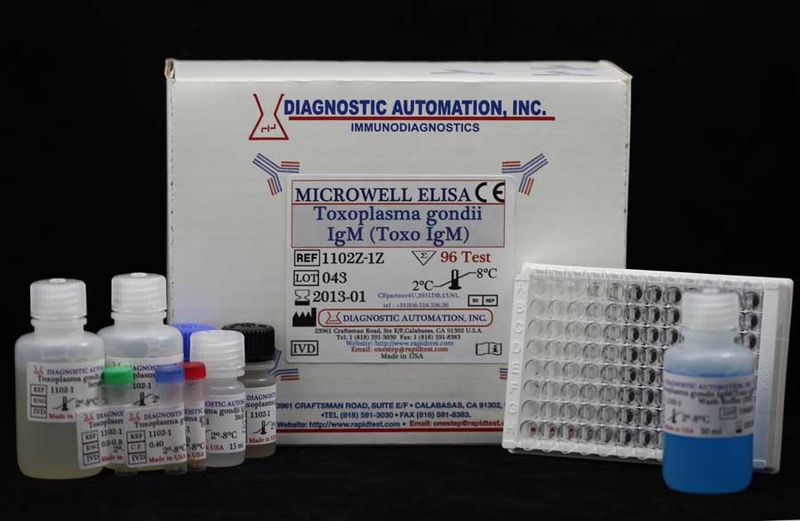 Adenovirus IgA ELISA kit - Adenovirus ELISA assay | CE-GMP | 818-5913030-USA. 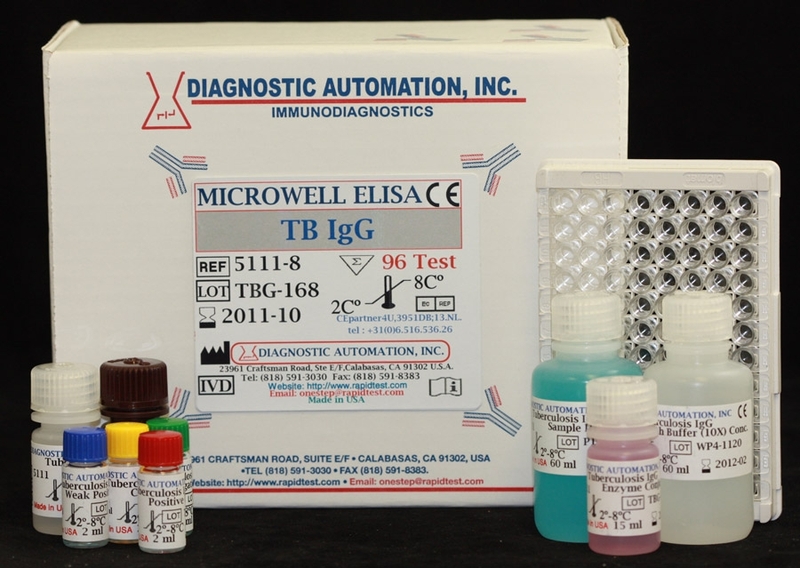 The Diagnostic Automation Adenovirus IgA Antibody ELISA Test Kit has been designed for the detection and the quantitative determination of specific IgA antibodies against Adenovirus in serum and plasma. Further applications in other body fluids are possible and can be requested from the Technical Service of Diagnostic Automation. The adenovirus is a ubiquitous pathogen of humans and animals. Adenoviruses are characterized by location inside the cell nucleus, common complement-fixing antigens and marked stability to environmental effects. Adenoviruses are endemic in all populations throughout the year. The infection is spread both through the aerial-droplet route and the routes characteristic for intestinal infections. The incubation period is between five and seven days. Adenoviruses mainly infest respiratory and intestinal mucosa, but also the cornea. They are accumulated in the epithelial cells and regional lymph nodes. Adenoviruses cause the widest variety of illnesses of the known respiratory viruses. The adenovirus infection is the most frequently caused viral disease of the respiratory tract among preschool children. Acute diseases of the upper respiratory tract occur predominantly. Pneumonia is the most severe form of adenoviral infection occurring mostly in infants below the age of one. Adenoviruses also cause outbreaks of swimming pool associated pharyngoconjunctival fever in the summer. 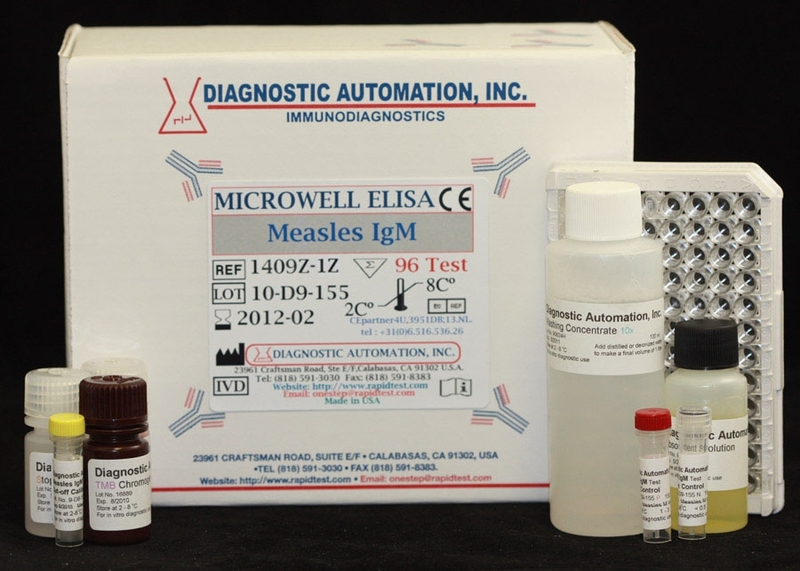 An acute adenoviral infection can be detected by virus isolation and/or serology. The serologic tests are particularly important because they document actual infection in the patient and can be applied to large scale epidemiologic investigations. The CF and ELISA tests measure predominantly the antibodies directed against the group-specific determinants on the hexon component. 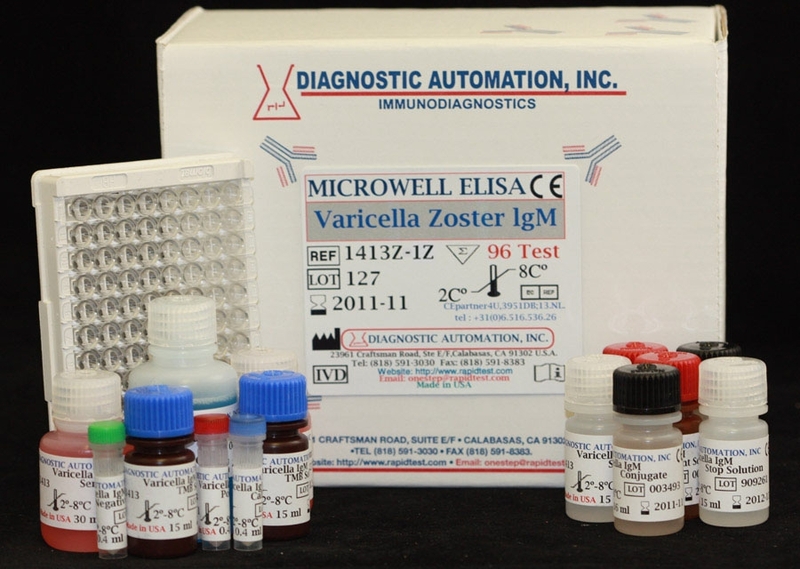 The Diagnostic Automation Adenovirus IgA Antibody ELISA Test Kit has been designed for the detection and the quantification of specific IgA antibodies. Adenovirus antigen is bound on the surface of the microtiter strips. Diluted patient serum or ready-to-use standards are pipetted into the wells of the microtiter plate. A binding between the IgA antibodies of the serum and the immobilized Adenovirus antigen takes place. After incubation at room temperature, the plate is rinsed with diluted wash solution. Then ready-to-use anti-human-IgA peroxidase conjugate is added and incubated for 30 minutes. After a further washing step, the substrate (TMB) solution is pipetted and incubated for 20 minutes, inducing the development of a blue dye in the wells. The color development is terminated by the addition of a stop solution, which changes the color from blue to yellow. The resulting dye is measured spectrophotometrically at the wavelength of 450 nm. The concentration of the IgA antibodies is directly proportional to the intensity of the color.